After the Manifesto, monogamy was advocated in the Church both over the pulpit and through the press. On an exceptional basis, some new plural marriages were performed between 1890 and 1904, especially in Mexico and Canada, outside the jurisdiction of U.S. law; a small number of plural marriages were performed within the United States during those years.4 In 1904, the Church strictly prohibited new plural marriages.5 Today, any person who practices plural marriage cannot become or remain a member of the Church. For these early Latter-day Saints, plural marriage was a religious principle that required personal sacrifice. Accounts left by men and women who practiced plural marriage attest to the challenges and difficulties they experienced, such as financial difficulty, interpersonal strife, and some wives’ longing for the sustained companionship of their husbands.11 But accounts also record the love and joy many found within their families. They believed it was a commandment of God at that time and that obedience would bring great blessings to them and their posterity, both on earth and in the life to come. 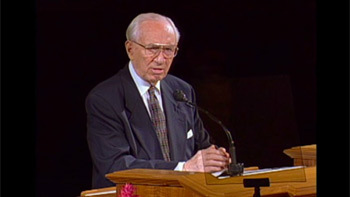 While there was much love, tenderness, and affection within many plural marriages, the practice was generally based more on religious belief than on romantic love.12 Church leaders taught that participants in plural marriages should seek to develop a generous spirit of unselfishness and the pure love of Christ for everyone involved. D&C 132:7. The Church President periodically set apart others to perform plural marriages. Kathryn M. Daynes, More Wives than One: Transformation of the Mormon Marriage System, 1840–1910 (Urbana: University of Illinois Press, 2001), 208–9; Thomas G. Alexander, Mormonism in Transition: A History of the Latter-day Saints, 1890–1930 (Urbana: University of Illinois Press, 1986), 60–73; Encyclopedia of Mormonism, 5 vols. (1992), “Manifesto of 1890,” 2:852–53. “Official Statement,” Apr. 6, 1904, in James R. Clark, ed., Messages of the First Presidency of The Church of Jesus Christ of Latter-day Saints, 6 vols. (1965–1975), 4:84–85. Studies have shown that monogamous women bore more children per wife than did polygamous wives except the first. Fertility at the societal level, however, was enhanced because of the near universality of marriage among women and the abundant opportunities for remarriage among previously married women of childbearing age. L. L. Bean and G. P. Mineau, “The Polygyny–Fertility Hypothesis: A Re-evaluation,” Population Studies 40 (1986): 67–81; Miriam Koktvedgaard Zeitzen, Polygamy: A Cross Cultural Analysis (Oxford and New York: Berg, 2008), 62–63. Daynes, Transformation of the Mormon Marriage System, 130–33. Kathryn M. Daynes, “Forging Mormon Society: Polygamy and Assimilation,” (Presentation at the Western Historical Association, Fort Worth, TX, Oct. 10, 2003). See Jacob 1:8; and Acts 5:41. Studies of the 19th-century Mormon image in the United States have found the Mormons were most closely associated with plural marriage. Jan Shipps, Sojourner in the Promised Land: Forty Years among the Mormons (Urbana: University of Illinois Press, 2000), 51–97. For an exploration of some of these difficulties, see Jessie L. Embry, Mormon Polygamous Families: Life in the Principle (Salt Lake City: Greg Kofford Books, 2008). For one example of the feelings that existed between husband and wives, see Terryl L. Givens and Matthew J. Grow, Parley P. Pratt: The Apostle Paul of Mormonism (New York: Oxford University Press, 2011), 305, 329–30. Plural marriage was first introduced privately to a small group of Church members, which expanded over time. Church leaders publicly announced the practice in 1852. Recent calculations using a 3 percent growth rate and an average five-year age interval between husbands and wives at first marriage (reasonable estimates for the 19th-century Mormon population) indicate that the upper limit of sustainable polygamy in a stable society is 16 percent of husbands and 28 percent of wives. Davis Bitton and Val Lambson, “Demographic Limits of Nineteenth-Century Mormon Polygyny” BYU Studies Quarterly 51, no. 4 (2012): 11–15. See, for example, the comments of George Q. Cannon, in Journal of Discourses, 22:124–25, 23:278. See, for example, Emmeline B. Wells, Ellen B. Ferguson, Emily S. Richards, and Joseph M. West, letter to the Honorable Committee of the Senate on Education and Labor, May 12, 1886, quoted in Daynes, Transformation of the Mormon Marriage System, 61. They testified, “No Mormon woman, old or young, is compelled to marry at all, still less to enter into polygamy.” In addition, Brigham Young stated: “When your daughters have grown up, and wish to marry let them have their choice in a husband. … Take this or that man if you want them my girls, … you shall have your own agency in the matter even as I want mine.” Brigham Young Sermon, Apr. 16, 1854, Brigham Young Office Files, Church History Library, Salt Lake City. See, for example, Lowell C. Bennion, “Mapping the Extent of Plural Marriage in St. George, 1861–1880,” BYU Studies Quarterly 51, no. 4 (2012): 34–49; and Embry, Mormon Polygamous Families, 75–81. These figures are based on two different studies using different sources. Stanley S. Ivins, “Notes on Mormon Polygamy,” Western Humanities Review 10, no. 3 (Summer 1956): 233; and Daynes, Transformation of the Mormon Marriage System, 130. Brigham Young’s large family was definitely atypical. See Dean C. Jessee, “‘A Man of God and a Good Kind Father’: Brigham Young at Home,” BYU Studies 40, no. 2 (2001): 23–53. Brigham Young to William H. Dame, Aug. 8, 1867, Brigham Young Letterbook, vol. 10, p. 340, Brigham Young Office Files, Church History Library, Salt Lake City; Daynes, Transformation of the Mormon Marriage System, 141–70. In general, women in Utah Territory could obtain a divorce more easily than in most other places in the United States at the time. One of Brigham Young’s clerks explained: “As a rule, the Prest. [Brigham Young] never refuses a bill [of divorcement] on the application of a wife, and NEVER when she INSISTS on it.” Quoted in Embry, Mormon Polygamous Families, 253. Daynes, Transformation of the Mormon Marriage System, 107; Cynthia Culver Prescott, “‘Why Didn’t She Marry Him’: Love, Power and Marital Choice on the Far Western Frontier,” Western Historical Quarterly 38, no. 1 (Spring 2007): 25–45; Paul Bourke and Donald DeBats, Washington County, [Oregon,] Politics and Community in Antebellum America (Baltimore: Johns Hopkins University Press, 1995), 121. Lowell C. Bennion and others, Polygamy in Lorenzo Snow’s Brigham City: An Architectural Tour (Salt Lake City: Western Regional Architecture Program, University of Utah, 2005), 26; Marie Cornwall, Camela Courtright, and Laga Van Beek, “How Common the Principle? Women as Plural Wives in 1860,” Dialogue: A Journal of Mormon Thought 26 (Summer 1993): 149; Daynes, More Wives Than One, 101. Lowell C. Bennion, “Plural Marriage, 1841–1904,” in Brandon S. Plewe, ed., Mapping Mormonism: An Atlas of Latter-day Saint History (Provo, UT: Brigham Young University Press, 2013), 122–25; Lowell C. Bennion, “The Incidence of Mormon Polygamy in 1880: ‘Dixie’ versus Davis Stake,” Journal of Mormon History 11 (1984): 17, 31. Proceedings in Mass Meeting of the Ladies of Salt Lake City, to Protest against the Passage of Cullom’s Bill, January 14, 1870 (Salt Lake City: 1870); Lola Van Wagenen, “In Their Own Behalf: The Politicization of Mormon Women and the 1870 Franchise,” in Carol Cornwall Madsen, ed., Battle for the Ballot: Essays on Woman Suffrage in Utah, 1870–1896 (Logan, UT: Utah State University Press, 1997), 60–73. Sarah Barringer Gordon, The Mormon Question: Polygamy and Constitutional Conflict in Nineteenth-Century America (Chapel Hill: University of North Carolina Press, 2002). Ronald W. Walker, “A Mormon ‘Widow’ in Colorado: The Exile of Emily Wells Grant,” in Qualities That Count: Heber J. Grant as Businessman, Missionary, and Apostle (Provo, UT: Brigham Young University Press, 2004), 175–93; Kimberly Jensen James, “‘Between Two Fires’: Women on the ‘Underground’ of Mormon Polygamy,” Journal of Mormon History 8 (1981): 49–61.